It was a surprise to have a dry rally this year! Members from all over the county gathered at Pensipple Farm, near St Keyne, Liskeard to show their skills at numerous competitions, including cookery, handicraft, floristry, art and photography. The day also consisted of practical tasks, games and sports, with Ellis' (county chairman) flying machine being a crowd catcher! Launceston YFC's plastic bag and hot air design proved how the most simplistic designs can be the most effective, as ours flew for miles and miles. Being a beautiful day, many members were keen to partake in the water sports (greasy pole, search and find, water catching) or get dirty with the egg and flour race! A good day was had by all and won overall by Helston and St Keverne. The evening event was equally well supported and enjoyable. The YFC was full, bright and bulging with competitions and information at Launceston Show recently, which caught the eye of passing members of the public. The mini cubicles, themed 'farming sectors' all looked great and this year was won by Charlotte Parker and her fellow hens! Outside, the weather was beautiful (for once!) and so members were eager to try their hand at Ed Humber's 'revolving ladder' concoction; it certainly was easier said than done, as many were flung off it in their haste! In addition, the annual sheaf pitching competition was very popular. Congratulations to all the cup winners and all those who participated in any way. That evening, members and friends partied hard to BK Disco at the White Hart Hotel, Launceston. Members are working hard to create their entries for the ranging competitions that will be taking place in the YFC tent at Launceston Show, which will take place on Thurs 21st July. Competitions range from photography, handicraft and cookery to produce and practical tasks outside the marquee. Please do pop in and browse around. We look forward to not only catching up, but also meeting new people (We are a very friendly bunch!). On Saturday 9th July, Launceston Young Farmer's singing group were asked to provide the entertainment for the French Twinning Evening in Launceston Town Hall. 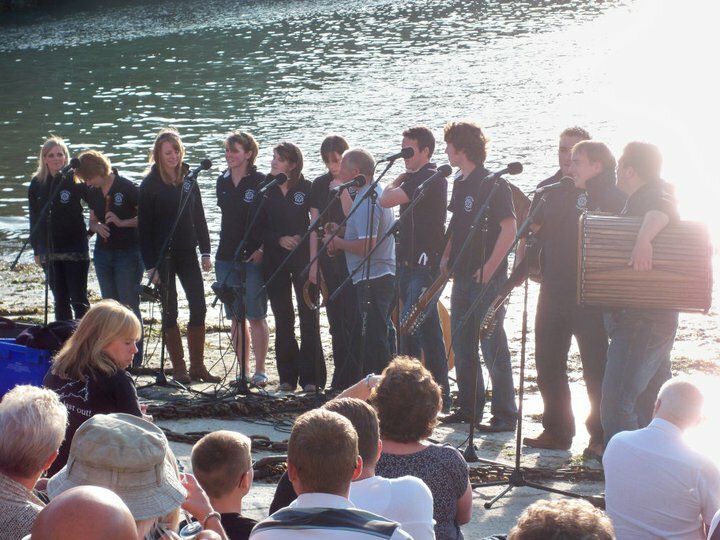 The group, known as 'Sea Shandy', were warmly welcomed by the large audience of both French and English people, who gave a standing ovation, as well as generously donating £100 and €4 to our chosen charities (MS and Ataxia). An encore was even requested! A thoroughly enjoyable evening was had by performers and the audience alike! There was a good turn out for our visit to Statton's Slaughterhouse at Davidstow, as members were intrigued to learn more about the process of slaughtering farm animals. Jonny Statton, who is very well known to most members, carefully dissected a pre-1996 Friesian cow, starting by skinning it and then removing limbs and organs (intestines, heart, lungs, stomach, kidneys, liver, spleen, etc) to leave just the carcass. Despite a few people feeling a little queasy, lots of questions were asked and great interest was shown. Many thanks to Jonny Statton and Sam Burden for the visit. 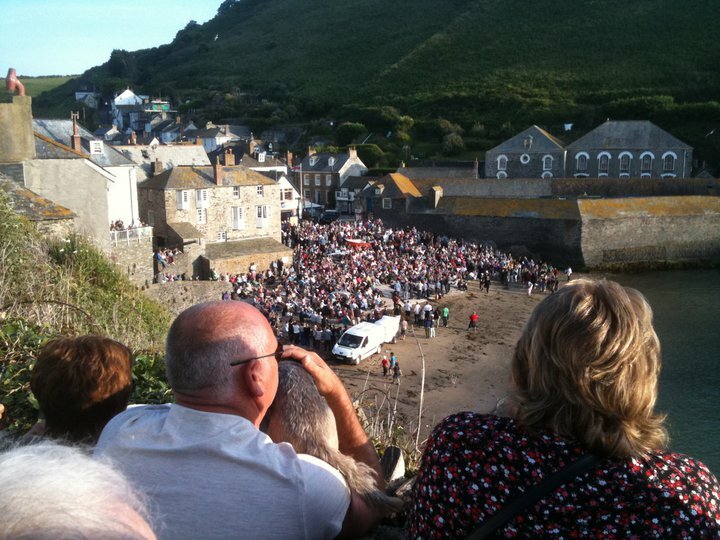 On Friday 1st July, hoards of friends and family from all over Cornwall headed to the Platt in Port Isaac, not only to hear the wonderful tunes from the Fisherman's Friends, but also because Launceston YFC's singing group known as 'Sea Shandy' were performing too! Following months of rehearsing for the cabaret act, Oli Stephens was eager to arrange it. 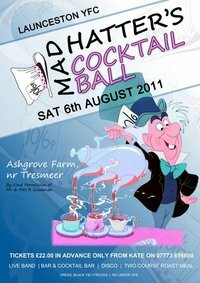 It was a truly fantastic evening, which was very well supported. 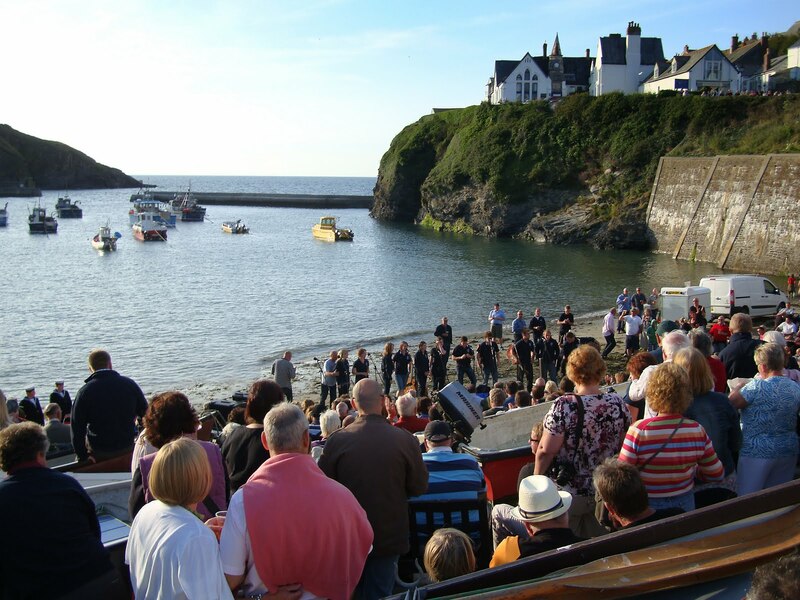 Our thanks go to the Fisherman's Friends (who had performed at Glastonbury only the Sunday before) and also our singing coaches, Roger Williams and Janet Ham. Sea Shandy have got more dates booked in their diaries and are hoping to learn some more songs very soon so watch this space...! The club trekked to Holsworthy to visit the long-established builders', plumbers' and timber merchant known as Tamar Trading, which works alongside J. Stacey and co. Members were given a detailed talk about the business and shown around the premises, which included a large timber store, comprehensive stock of building materials, joinery workshop, kitchen and bathroom displays and even a chapel of rest. It was a very interesting evening indeed.